NEW FRESH KODAK 8mm Presstapes are the preferred chemical free method for easy film splicing. Each tape is pre-perforated and transparent allowing for seamless transitions. 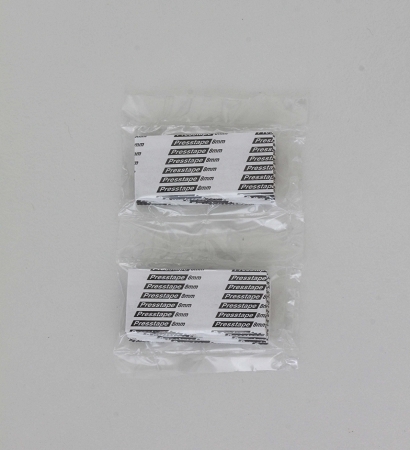 Each package contains 40 tape strips which is enough to complete 20 splices. Apply one tape strip to each side of the film for a proper and long lasting hold.